If you have seen an ad for Ancestry.ca, you know the company offers DNA testing to help you trace your genetics and heritage. In one of the ads, a woman exclaims her shock and delight at the discovery of Native American genes in her test. But as Kathryn Marlow finds, identity is complicated. So you send your DNA off to an ancestry company, and get a report back that says you're part Native American, or part Italian, or part Nigerian. So what? Maybe you're excited to learn about your roots, but can you really consider yourself part of that culture? Not really, says Kim TallBear. "We construct belonging and citizenship in ways that do not consider these genetic ancestry tests. So it's not just a matter of what you claim, but it's a matter of who claims you." TallBear is an indigenous scholar based at the University of Alberta. She's reacting to a particular advertisement for DNA ancestry tests, that shows a woman who learns she is "26 percent Native American," and can't wait to learn more about her heritage. It got regular play in Canada during Major League Baseball playoffs this year. But learning about one's "Native American heritage" is not simple. 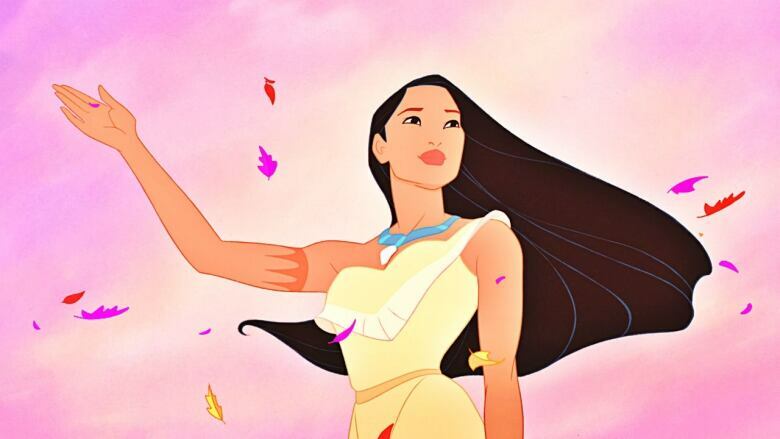 For one thing, "Native American" is a pretty broad term: whose heritage does she learn? Inuit? Maya? Coast Salish? The tests don't give you that much detail. And, TallBear says, even if you chose a specific group, having some matching genetic markers from ages ago doesn't mean you have the lived experience to become part of that community. "People who are not actually members of indigenous community, tend to define indigeneity or Native Americanness as a racial category. Now for us, those are umbrella categories which help us talk to one another, relate to one another, but our primary sense of belonging, and identity, is our particular indigenous or tribal community. They don't use the word tribe up here, but in the U.S. we do, so somebody might say 'I'm a member of the Métis Nation,' or 'I'm a member of this particular Cree band,' I would say I'm Dakota." Belonging to particular community can mean sharing beliefs, cultural practices - and even official membership or citizenship. Not just genetic material. It's not just "Native American" connections that could be hard to develop with only DNA in hand. In the United States, DNA testing has been quite popular amongst African Americans. Because of the slave trade, many African Americans do not know where their ancestors originally came from. So DNA testing has helped rebuild a history that was wiped out. But knowing what part of Africa you're from might leave you in the same position as someone who has found out they've got Native American genes. Alondra Nelson got her DNA tested as part of her research for the book The Social Life of DNA: Race. Reparations, and Reconciliation after the Genome. "I was inferred to be related to the Bamileke people of Cameroon, and so the question then becomes 'Do people who are Bamileke in Cameroon accept me as a Cameroonian because a company's analysis of a few genetic markers says that that's true?' Or would they say, similarly to First Nations, to be Bamileke means these things: it means you live here, you speak this way, you think about family in this way, so these things are much more complicated." Nelson says there are other uses for DNA testing as well: for example, the tests were used to prove that current African Americans were related to slaves, in a lawsuit attempting to get reparations for the unpaid work of those slaves. It has not succeeded. She plays herself in the ad, and the DNA results are hers. Trujillo says she always knew she had some Spanish, German, and Native American history, but she wanted to know more. 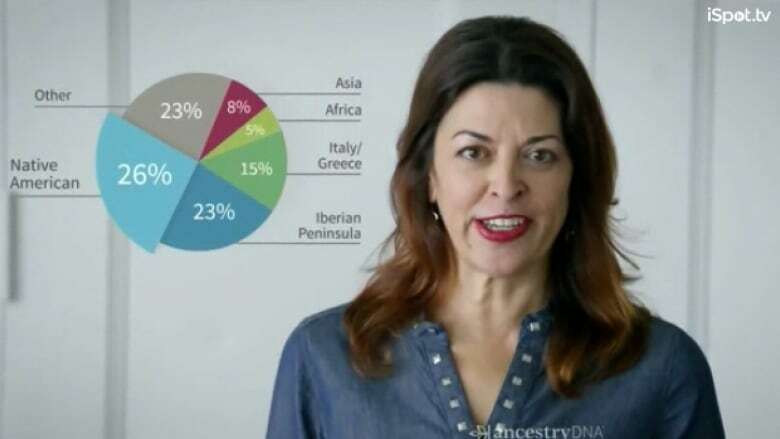 The DNA test told her that she has more Native American markers than she thought, and that she also has some Italian/Greek heritage (Italy/Greece is one ethnicity according to Ancestry.com's database). To Trujillo, the DNA test was just the first step. It gave her clues to dive into genealogy research and build her family tree. She also got in touch with the "matches" that were recommended to her as part of the DNA test - people who have similar ancestry. "It's opened up the world, as family. Not just as, 'Oh, this is what I am,' I'm connected to these people in other states, in other countries, it's just been a whirlwind, it's been fantastic." She says she knows there's more to being indigenous than just finding out you have Native American ancestry, and that she can't just sign up for a tribe. But, she says everything she's learned about her ancestry makes her feel more connected to issues like Standing Rock. In the United States, it is common for people to claim some amount of unproven indigenous history: most often Cherokee. To Kim TallBear, there's a sort of racism to that, and it lines up with anyone who would attempt to claim Native American heritage based on a DNA test alone. 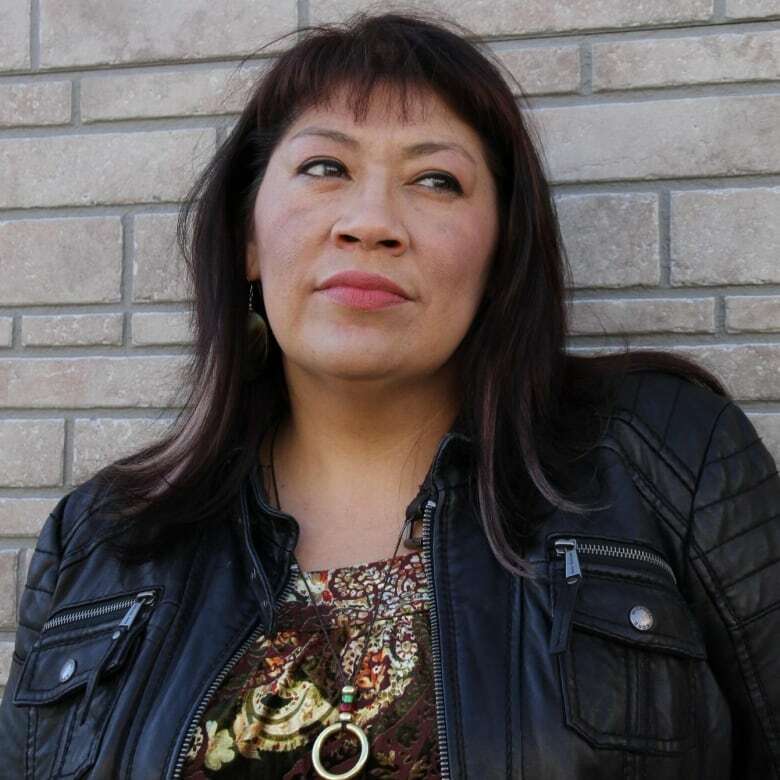 "There is this national sort of story, and this I do see becoming more prominent in certain parts of Canada too, that you have people with no lived experience in indigenous community, they can't even name any indigenous family or ancestors, but they have a family myth about a Cherokee great-grandmother, or they're descended from Pocahontas, you get that a lot on Virginia. So I think it's another kind of claim to own indigeneity, to try to have a moral claim or sense of belonging on the North American continent and so that's the context in which these tests are so popular." Charles Menzies agrees with that. He's an anthropologist at the University of British Columbia, and a member of B.C. 's Gitxaala Nation. "It also sets apart recent immigrants and true, rooted, kind of Euroamerican/Indigenous citizens who have a real connection to the land, but they're not kind of locked in a primitive past - which is the really nasty racist connotation. All of these kind of popular imaginations imaging having some amount of indigenous background, but not so much as to be completely thwarted by the deficits." But, in the end, Menzies chooses to see the upside. If people are excited to find out the have Native American genetic markers, he says, maybe they'll be more open to ending racism towards this continent's indigenous peoples. Things like Chief Wahoo, the racist mascot for the Cleveland Indians, during whose games the DNA advertisement ran.